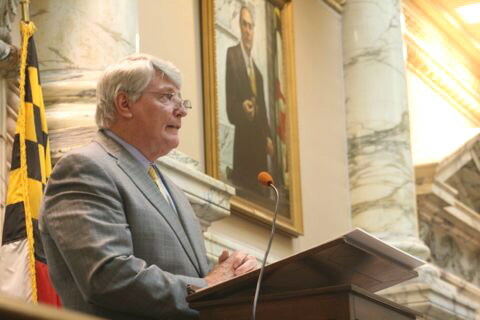 Speaker Michael Busch when the new legislature opened Jan. 9. 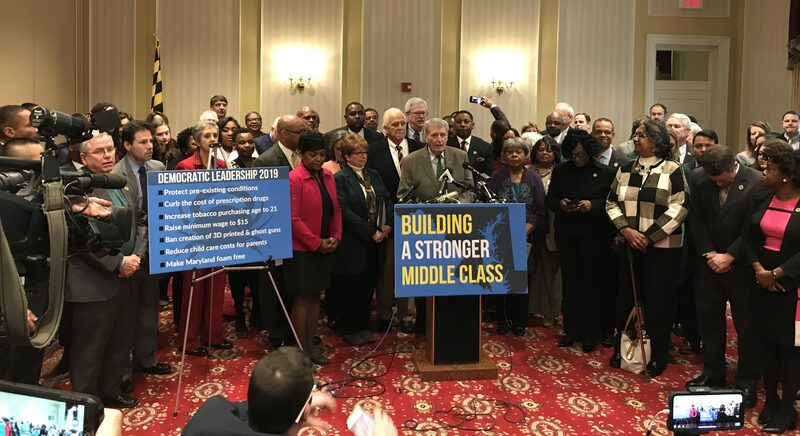 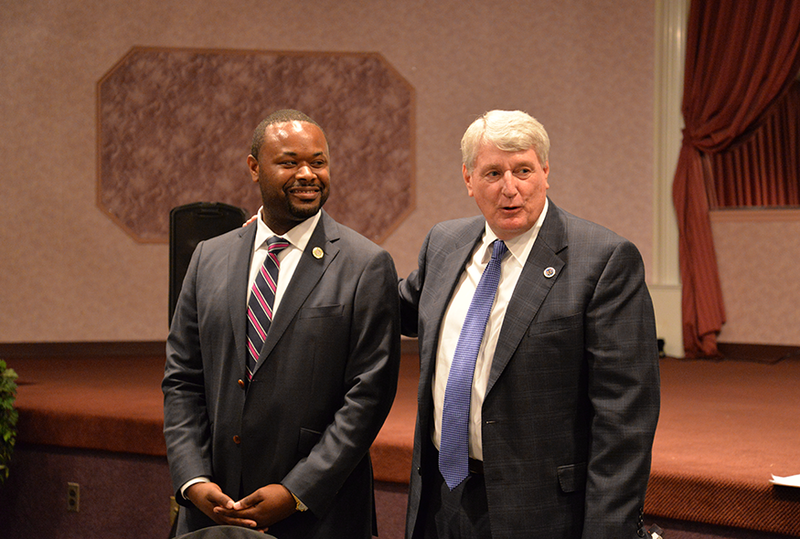 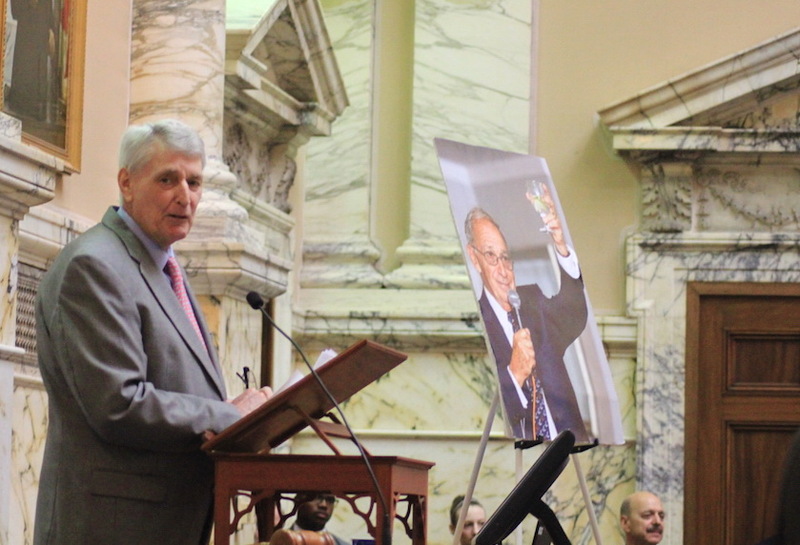 Here is a gallery of photos MarylandReporter.com and others have taken of Speaker Busch over the last decade. 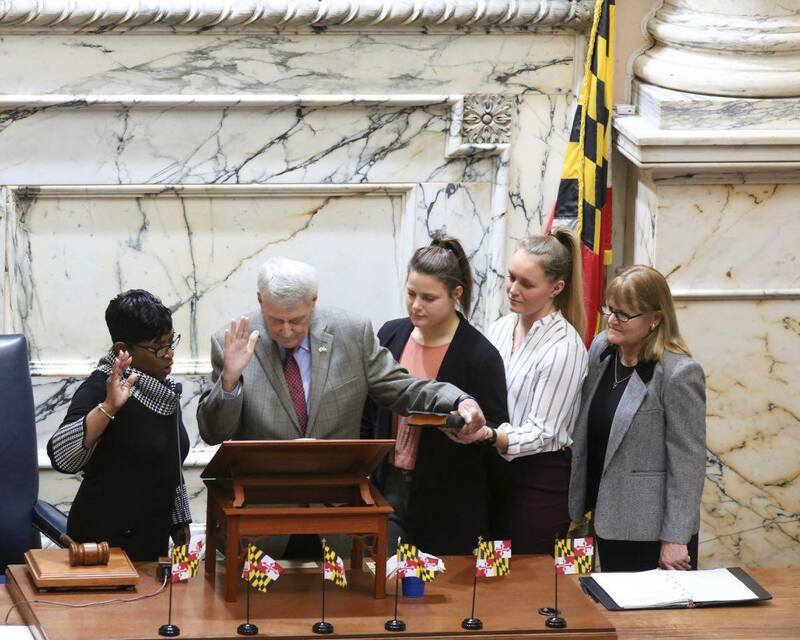 Jan. 9 this year, House Speaker Michael Busch is sworn in by Speaker Pro-Tempore Adrienne Jones, left, as Busch daughters Megan and Erin hold a bible and wife Cynthia Busch looks on. 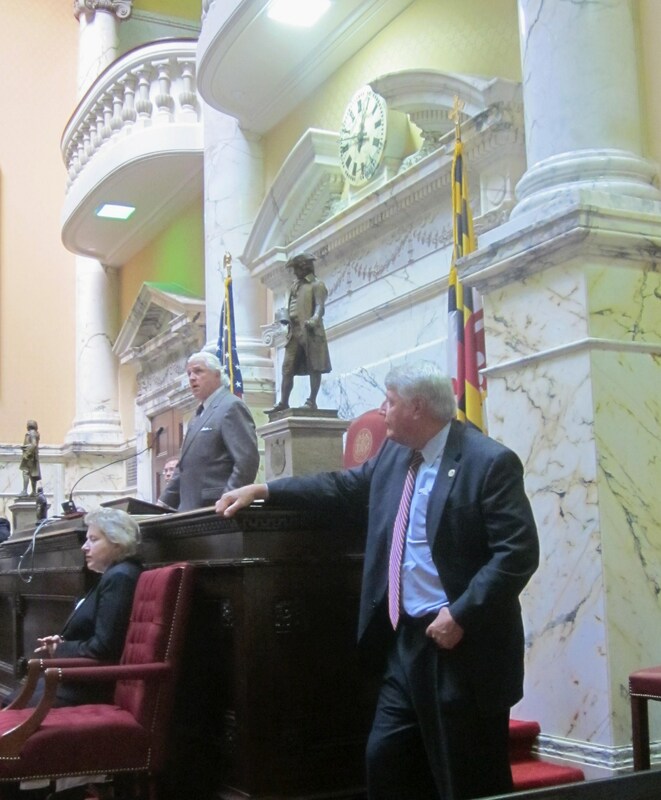 Jones has presided for Busch for several weeks now. 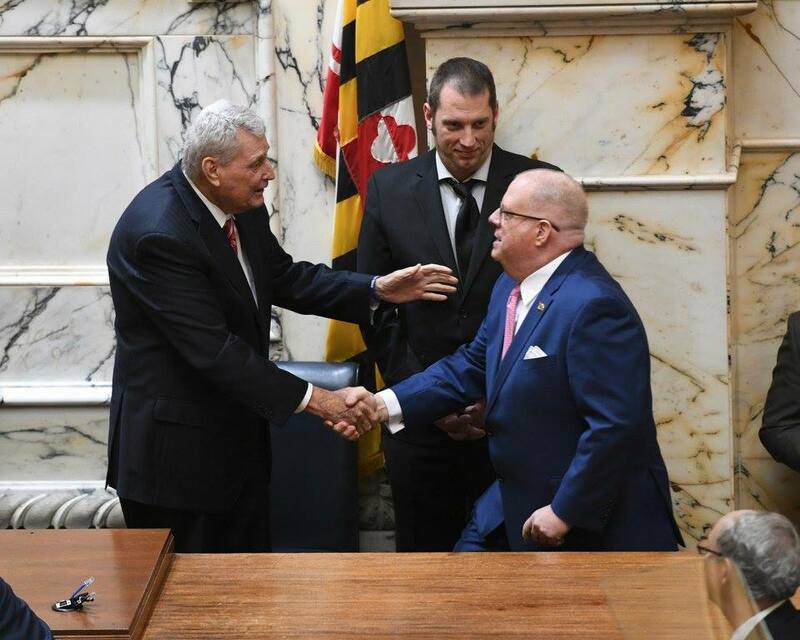 Governor’s Office photo on Facebook. 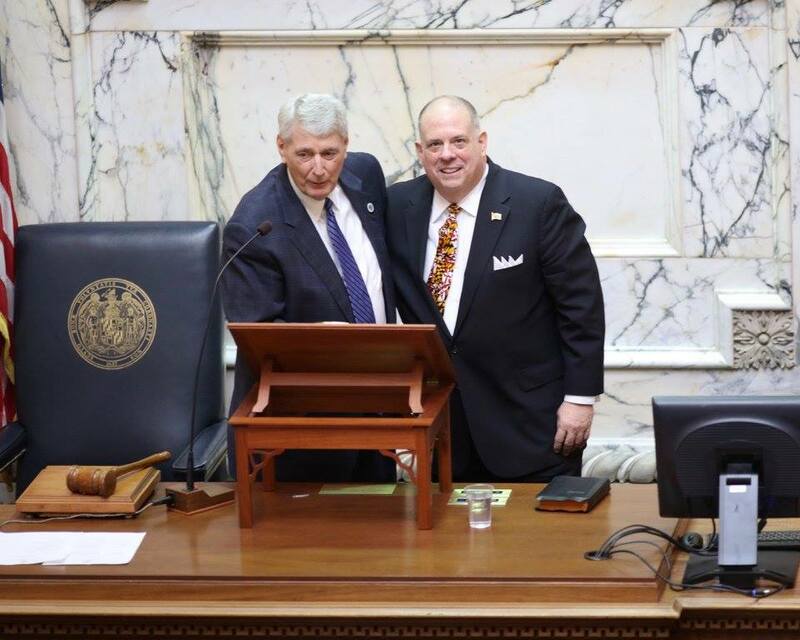 On April Fool’s Day 2016, Speaker Busch and Senate President Miller switched roles and presided in each other’s chamber. 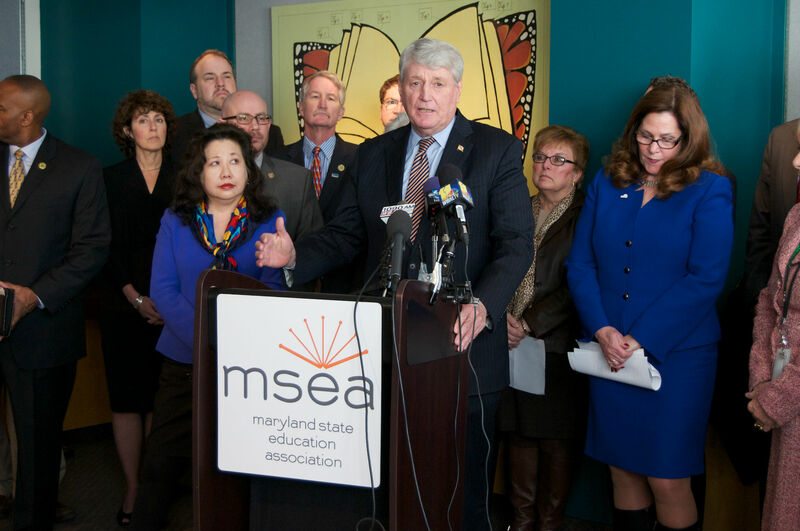 From left, Sen. President Miller, Gov. 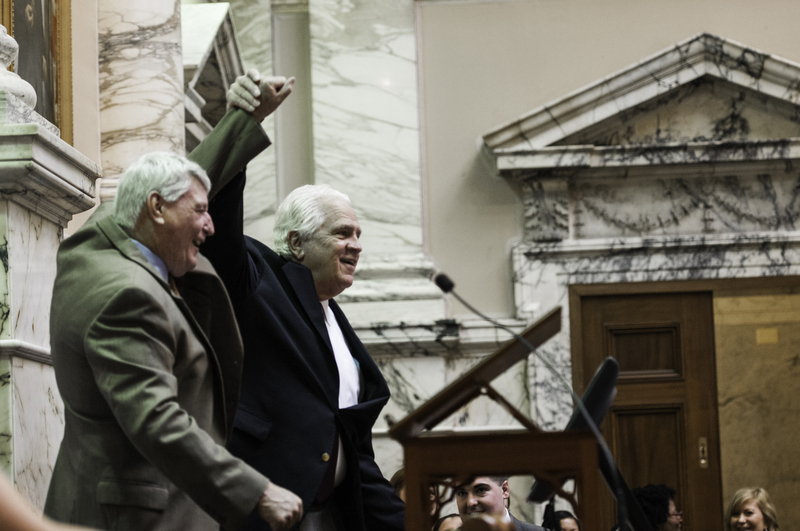 Hogan and House Speaker Busch join in song from a Dec. 10, 2015 video by Ovetta Wiggins, the Washington Post. 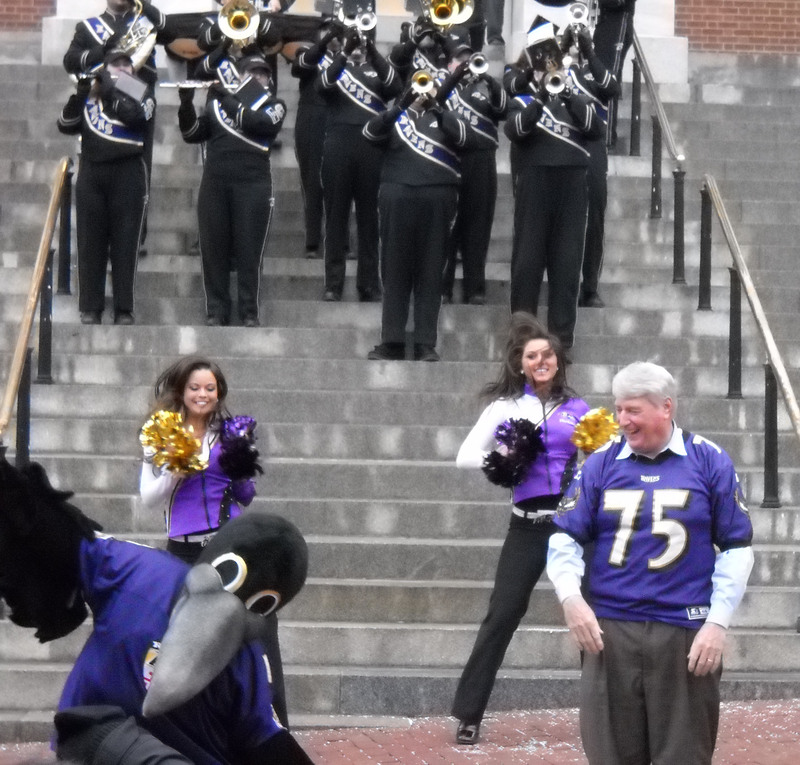 Only Hogan can carry a tune. 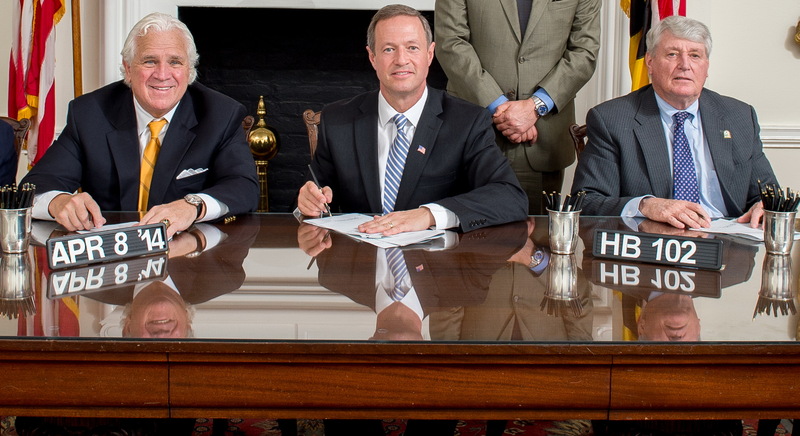 Busch served as speaker with three governors, including Martin O’Malley. 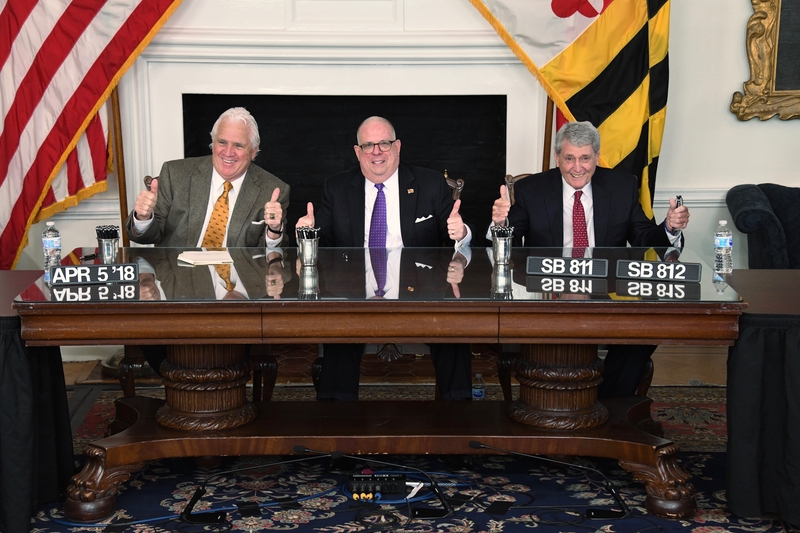 All together, his career spanned five governors. 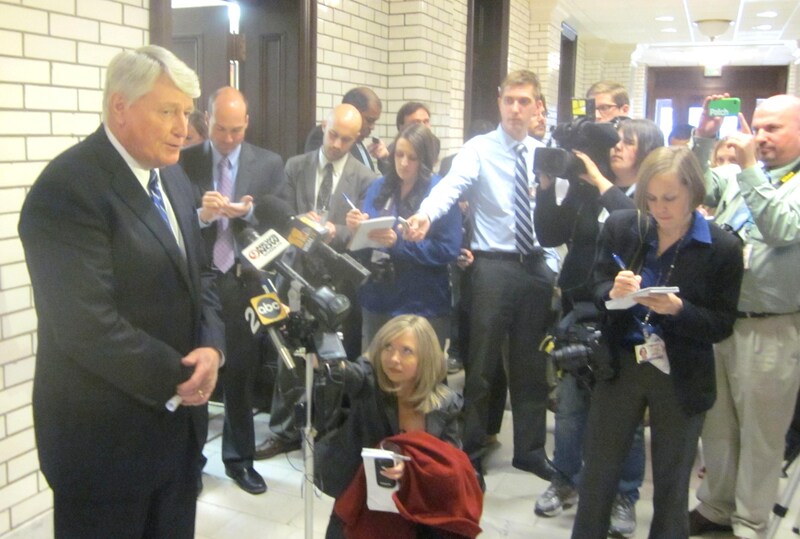 House Speaker Michael Busch talks to reporters Monday afternoon Sine Die 2012. 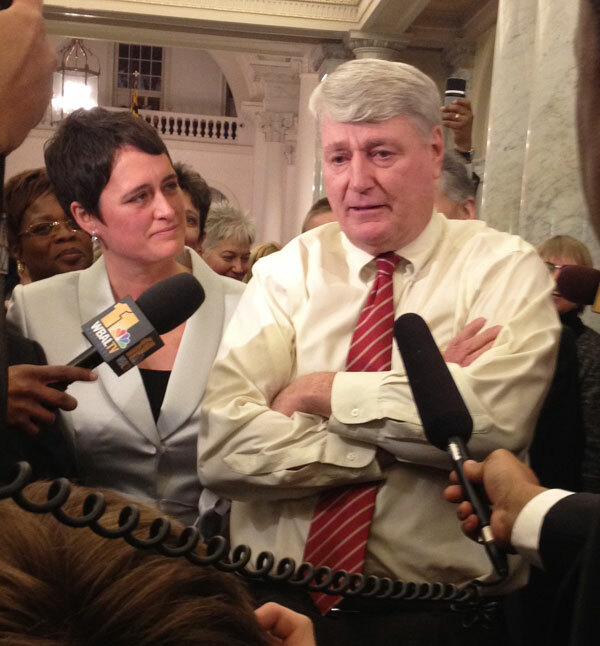 Jan. 19, 2011, Busch speaks at Gov. 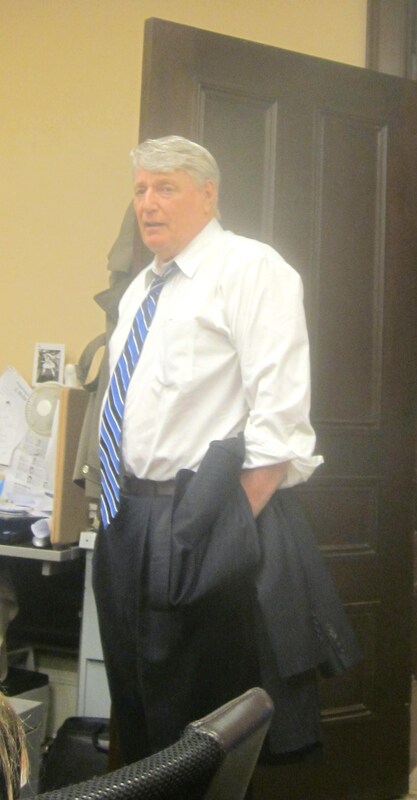 Marin O’Malley’s second inauguration.